Then again, maybe the study is fake news too. Recent research challenged study participants to pick real news headlines from fake ones. The results showed that people prone to delusional thinking, religious fundamentalists, and dogmatists tended to believe all news, regardless of plausibility. 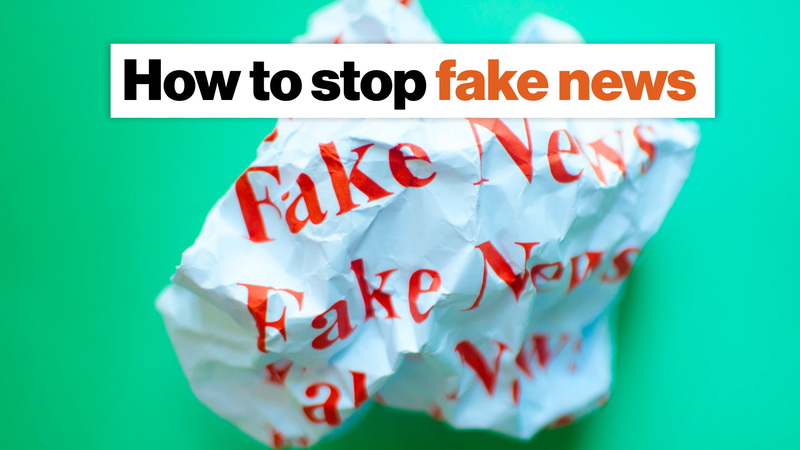 What can you do to protect yourself and others from fake news? Did you know that in the fall of 2016, Hillary Clinton's leaked emails contained coded messages alluding to a pedophilia ring held in the basement of the Comet Ping Pong pizza restaurant? Or that billionaire George Soros personally funded a migrant caravan to invade the United States? While most people would have difficulty believing these claims without more evidence, many are willing to accept them as is. "Pizzagate" has been thoroughly debunked (Comet Ping Pong doesn't even have a basement), and the individual who originally posted the migrant caravan theory admitted that he had made it up whole cloth. Arguably, one of the most unique aspects of the 2016 election was the rise of fake news. But some of these headlines seem so obviously outside the realm of reality it's hard to see how someone could buy into them. However, recent research published in the Journal of Applied Research in Memory and Cognition helps to explain which groups are more prone to believing fake news and why. Who believes in fake news? The study focused on two key characteristics: analytical thinking and open mindedness. Analytical thinking is simply the tendency to analyze cause and effect, to consider things logically; it requires the suppression of immediate, intuitive conclusions and the use of working memory to consider an argument's premises and reach a logically sound conclusion. Open-minded thinking is related, but slightly different. Open-minded thinkers are prone to actively searching for alternative explanations for things, and they are willing to incorporate information that challenges previously held beliefs. We all have a greater or lesser tendency to think in these ways. But prior research has shown that these two characteristics tend to be low in three groups of people: religious fundamentalists, people prone to delusional thinking, and people prone to dogmatism (i.e., the expression of opinions and beliefs as though they were fact). Unsurprisingly, the researchers found that these three groups were the worst at distinguishing between fake and real news. Here's how they found that out. Comet Ping Pong, the pizza shop that was the subject of a conspiracy theory regarding an alledged pedophilia ring run by democrats, including Hillary Clinton. On December 4, 2016, an armed man fired off an AR-15 inside the shop after he entered with the apparent intention to investigate the claims. The researchers recruited 900 people to participate in a series of empirically validated surveys. Each survey measured a different aspect involved in the study. One determined how likely a participant was to have delusional thoughts by asking questions like "Do you ever believe there is a conspiracy against you?" Other surveys determined a person's tendency to dogmatism and religious fundamentalism. Then, the researchers presented the participants with a series of article headlines, cover images, and an abstract, much in the same way that news articles are presented on social media sites. To account for any political bias, a mix of pro-Republican and pro-Democrat news headlines were included, equally split between real and fake news. The researchers found that individuals who scored high in religious fundamentalism, dogmatism, and delusional thinking were more likely to believe both the fake and real news headlines. What's more, they confirmed that religious fundamentalism, dogmatism, and delusional thinking were correlated with lower tendencies to analytical and open-minded thinking. On the flip side of the coin, analytical and open-minded thinking were correlated with better discrimination between real and fake news. Examples of fake news from the study. On the left is pro-Democrat fake news, while the right image shows pro-Republican fake news. In a world where anybody with a Facebook account can act as their own digital publisher, these findings are troubling. What's more, one of the study's authors, Michael Bronstein, told Inverse magazine that "Research suggests that merely being exposed to fake news can increase your belief in it." When social media sites are inundated with fake news, claims that appear ludicrous at first glance become normalized. Once an individual has come to accept a given piece of fake news as fact, they are unlikely to change their mind about it, even when presented with evidence to the contrary. In fact, doing so can strengthen their belief in the fake news article. Psychologists refer to this as the "backfire effect." For his part, Bronstein frames this conundrum in a more positive light: "People may be able to help others avoid falling for fake news by thinking analytically about the news they share on social media, which may help them avoid inadvertently sharing fake news." He also suggests that we find "a source with a reputation for consistently and carefully vetting its stories, rather than just reading and accepting what gets shared via social media." Careful news consumers can familiarize themselves with known fake-news websites, some of which, like NBCnews.com.co, mimic reputable sources. It can also be beneficial to use fact-checking sites like Politifact or Snopes when you come across a story that smells fishy. Unfortunately, if you plan to cite such websites to somebody sharing a story about how 53,000 dead people voted in Florida, don't be surprised if they're dismissed as "fake news."